There are several surge protection techniques, which can be used to minimise the lightning threat to electronic systems. Like all security measures, they should wherever possible be viewed as cumulative and not as a list of alternatives. 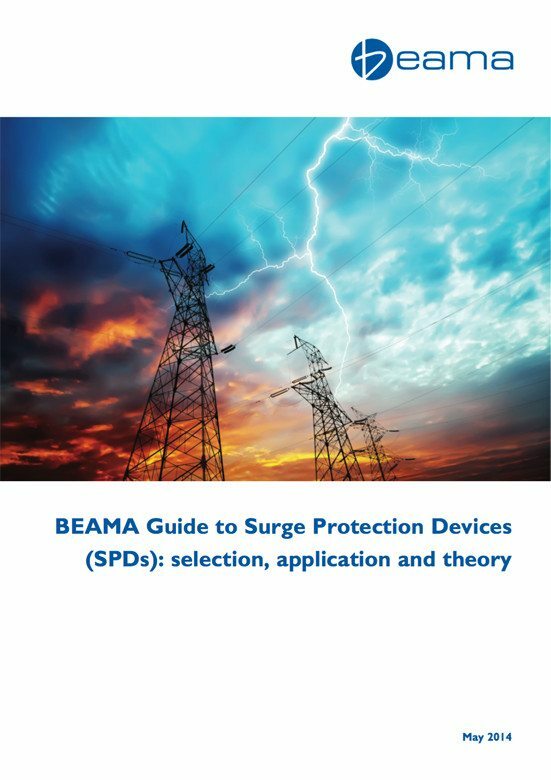 BS EN 62305 defines this as a complete system of protection measures for internal systems against LEMP with the term Surge Protection Measures (SPM). BS EN 62305-4 describes a number of measures to minimise the severity of transient overvoltages caused by lightning and electrical switching. 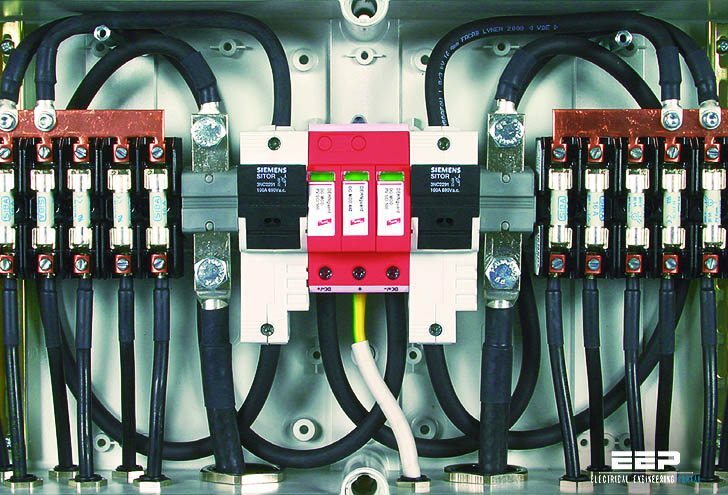 SPMs also have to operate within and withstand the environment in which they are located considering factors such as temperature, humidity, vibration, voltage and current. Selection of the most suitable SPM is made using the risk assessment in accordance with BS EN 62305-2 taking into account both technical and economic factors. For example, it may not be practical or cost effective to implement electromagnetic shielding measures in an existing structure so the use of coordinated SPDs may be more suitable. Ideally SPDs are best incorporated at the project design stage, although they can also be readily installed in existing installations. 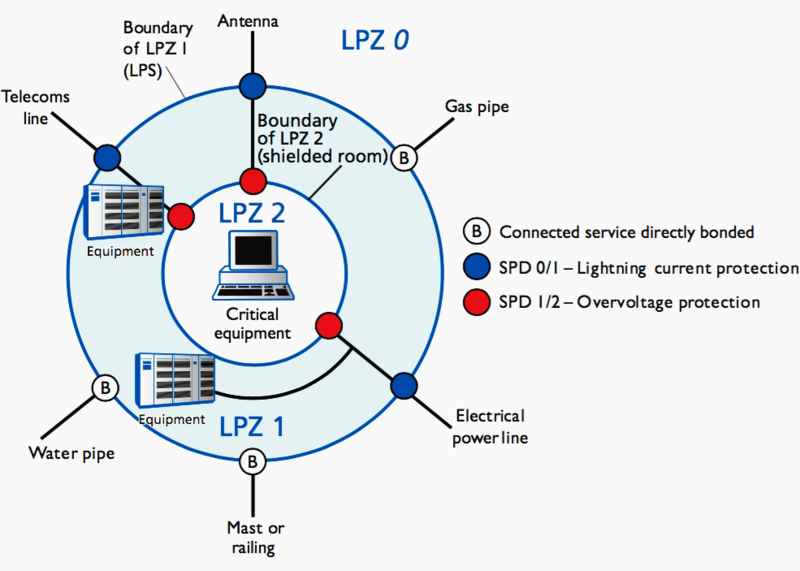 To ensure continuous operation of critical systems even in the event of a direct strike, SPDs are essential and these must be suitably deployed, based on the source of surge and its intensity using the Lightning Protection Zones (LPZ) concept within BS EN 62305-4.